Full Disclosure I was sent this after my review of the Blade Wrap. Sniper Skin wanted me to test out the new version and report on my findings. As you could see from the initial post here, the Sniper Skin SS3 wrap was very different than the Blade Wrap I used initially. It was softer to the touch and felt less plasticy. Since putting the new wrap on I have used it for 5 games so a little over 5 hours. Note: Sniper Skin informed me that they have Junior A players that have used the SS3 for over 10 hours without anywhere near the wear and tear that was on my wrap. While I wouldn’t purchase another wrap I wouldn’t tell anyone not to. If you hate taping your sticks or perhaps are younger and less demanding on them perhaps this will be a useful product for you. Be on the lookout for the Sniper Skin Grip review which will be coming soon. I am just awaiting on my next stick to apply it! Not a lot of damage to the back. The bunched up material on the front. Where the front hole started. 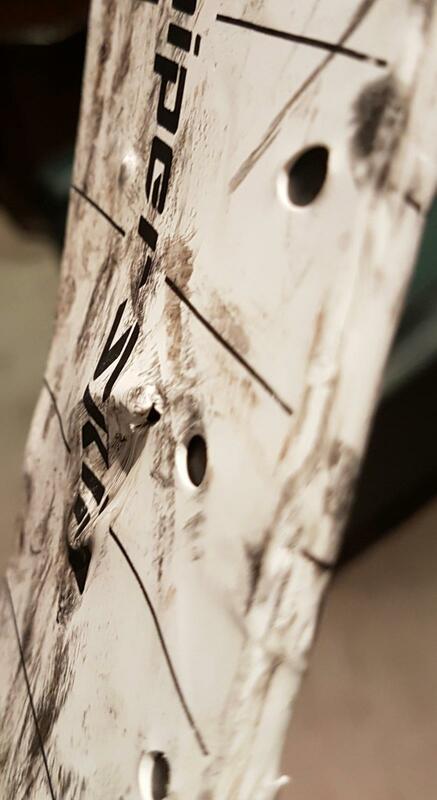 Top of the wrap, shows up the bunched up material. Lots of wear on the toe. Heel was splitting as well. Another look at the heel. 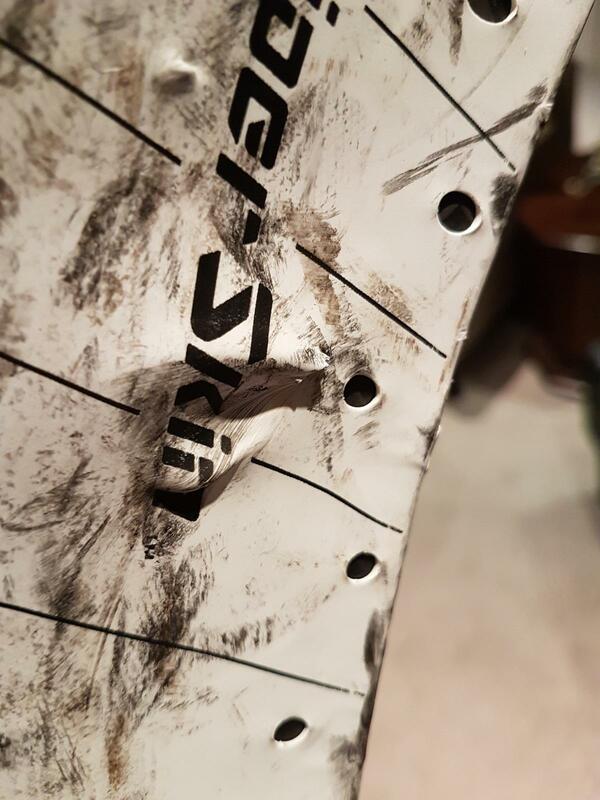 More bottom of blade damage.